Who Wants to be a Billionaire*? Have you recently seen a huge $1 billion* jackpot at Lottoland and thought it was a typo? Ducking hell is a typo, $1 billion* instead of $40 million is what we call a Special Jackpot! What are US MegaMillions Special Jackpots? The US MegaMillions is one of the world's biggest lotteries. 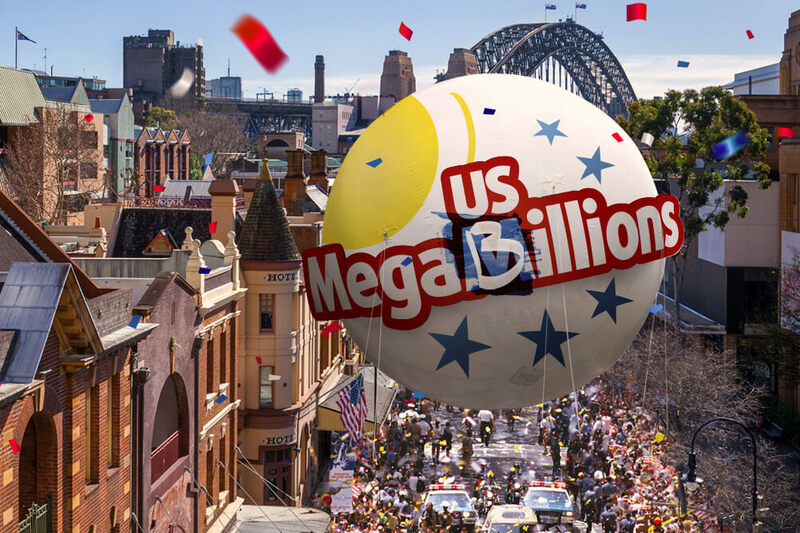 With MegaMillions soaring to a record jackpot of over AUD$2 billion* recently, it's no wonder that Americans (and now Lottoland players) absolutely love to bet on it. Isn't it always dejecting when these big jackpots are won though? It feels like you have to wait so long until the next one comes around. Well at Lottoland we've found a solution - Special Jackpots! When are the Billion* dollar draws? There are 11 draws in total that run up until 5th January 2019. The draws are on every Wednesday and Saturday and bets close at 2:00pm AEDT on these days. After the 5th of January who knows how long it will be before your next chance to win $1 billion*? How can Lottoland pay out Such High Jackpots? Now that we've established what Special Jackpots are, you are probably wondering - how Lottoland can pay out such ludicrous amounts to Australian players? It's all thanks to our innovative business model. When you place a bet with Lottoland, you are betting on the outcome of the official lottery. Essentially, for the customer this means that if your numbers match the official lottery numbers, we'll pay you out as if you had played in the official draw. How Much is Enough Money to Retire? How long is a piece of string? It really depends on what you plan to do when you retire! One thing is for sure - if you managed to win on a US Millions jackpot, retirement would almost certainly be on the cards.